The Pony-O holds every hair type and thickness, without tension on the follicles! When you feed your hair through the Pony-O and shape it, there’s no constriction on your ponytail (which means no annoying crease)! Open the Pony-O back into its circle shape, and it slides out without damaging your hair! It's one of the most comfortable hair accessories you will ever wear! Pony-O is made of soft, durable, silicone, with a malleable insert. Shaping the Pony-O properly, together with the silicone cover, is what holds the hair. This product is designed to last hundreds of uses. Comes in 10 different colors from Onyx to white. I was actually pretty excited to find the Pony-O in my stocking on Christmas morning. The 2 pieces were inside a cute little drawstring bag. So right off the bat the packaging was much more elegant than the rubber hair ties I usually buy at Target. There was an instruction sheet that was also included. After everyone was done opening gifts and occupied, I ran upstairs to test out my new Pony-O. I first read through the instructions and to be honest I watched so many videos on Facebook on how to use the product I already felt like a pro. So I put the Pony-O in and at first it felt pretty loose, and I was immediately disappointed. 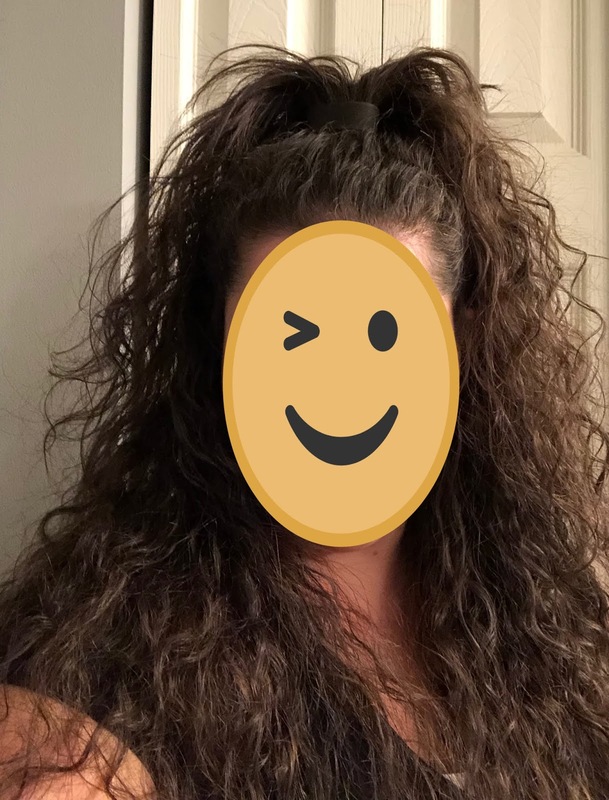 I thought maybe my hair was to thick for this product. However, I kept messing around with it and found that if I just bent the two sides together more it tightened up. My ponytail was super cute, fuller looking and bouncy. It actually looked quite nice and was the look I was hoping for. I wore it this way for a couple hours and to be honest after a while it did feel a little too tight. When I removed the Pony-O I also had a very light crease in my hair, nothing super noticeable and probably happened because I had it in super tight. The next time I wore it I tried to put my hair up in a bun instead of a ponytail. Using the Pony-O in this way felt much better. It didn't feel loose and did not give me a headache. 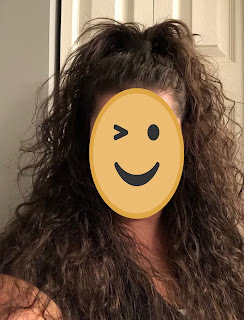 I also tried the Pony-O on my curly hair. This was the most comfortable by far. 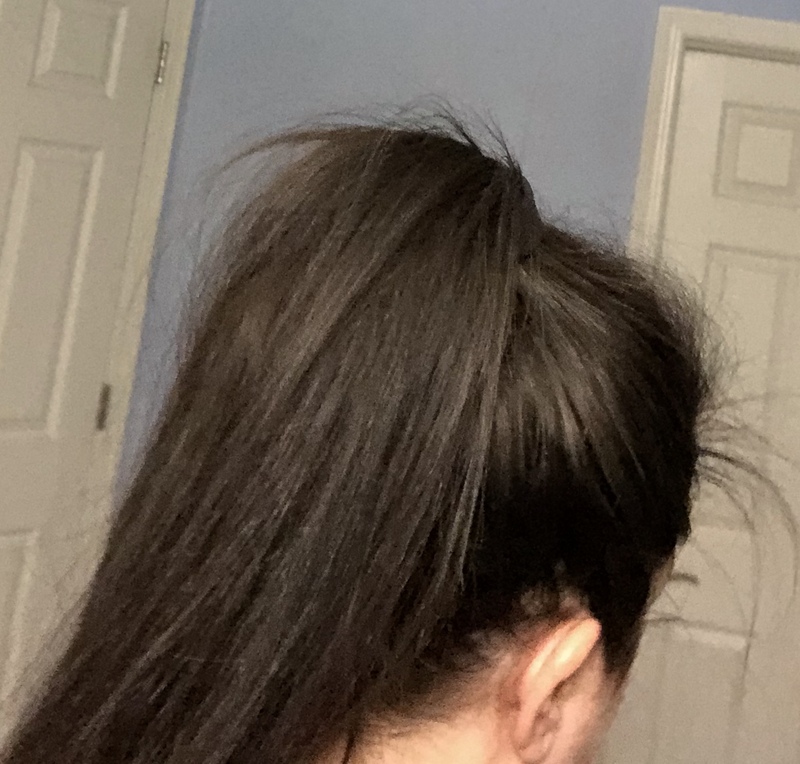 The Pony-O stayed in, didn't feel tight and gave my hair a super cute shape that worked with my head shape as in my ponytail didn't disappear behind my head, it was still visible. The Pony-O also had a smoother more elegant look to it than other hair accessories. It made me feel more put together, as if I didn't just throw my hair up and took time to style it. As I used it more I started to notice that the Pony-O started to lose it's shape and was harder to "flatten" when putting it in. The feature that claims it's going to last hundreds of uses is not that convincing now that I've used it about 10 times. I will have to update once I've used it longer to see if this is true. I was very pleased with the results of the Pony-O. What I loved the most was the shape and height of my ponytail. And how nice the Pony-O looked. It stayed in place only when I made it super tight. Below are comparison pictures of what my hair looks like in my regular rubber ponytail holder and the Pony-O. It is not as simple to use as a regular pony tail holder at first. You really have to take the time to learn how to properly put it in. Once you have it figured out it obviously won't take as long to put in each time. Also, after about 10 uses it has already lost its shape and I wonder if it's really going to last me 100 uses. The price tag is pretty hefty for only 2 pony holders especially if these need to be replaced more often. 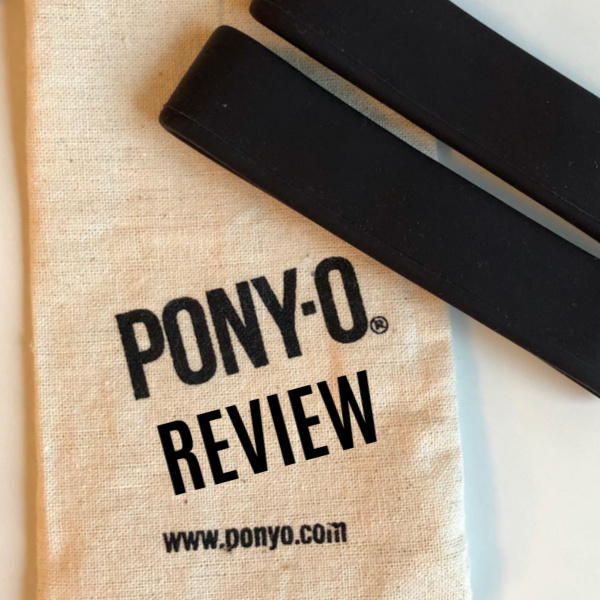 Yes, I would recommend the Pony-O for those looking for a wider more perky ponytail. Or for those looking for a ponytail holder that is gentle on their hair and looks nicer than a regular elastic band. If you loved this review check out my Flawless Finishing Touch Hair Remover Review. *This post is not an ad. I have received no compensation or free products for this post. All opinions are my own. Wow! That is a neat product. I like the height too. I also have long hair and any ponytail just ends up flat. How long did it keep its hold?